Thank you for visiting Divine Lightscapes, we welcome you to the best landscape lighting services in town. Our range of services include but are not limited to lighting designs, maintenance, replacements and repair. Our family owned and run business has a long and proud history of providing the best services we possibly can to all our clients. You are in the right place if you were looking for a customized solution to your landscape. 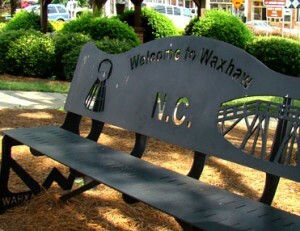 Waxhaw outdoor lighting is what we do and we do it to perfection. If you want to light up your yard and make it stand out in a unique way as well as improve on the safety o those using it at night and deter potential thieves then we are here to assist you. We also have the latest LED and halogen lighting systems for you that greatly cut down on the power consumption. You shouldn’t have to suffer for having a beautiful well lit landscape and that is why we have the best energy conservation technology on our systems. We have built our great reputation by consistent provision of professional services delivered by courteous staff as well as giving the clients what they need. You too can get to experience all these benefits by calling us to work for you. We will even offer you a free demo to see just how well your yard will be lit up once we are done. You too can transform your yard into a completely different environment at night with our outdoor lighting services. You can increase your property’s value immensely by improving its aesthetic appeal with one of our lightscapes. We cleverly use light to highlight all the important features of the area and light up the dark spots. We look forward to hearing from and working with you.